It’s beginning to look a lot like Christmas in the Samphire studio! 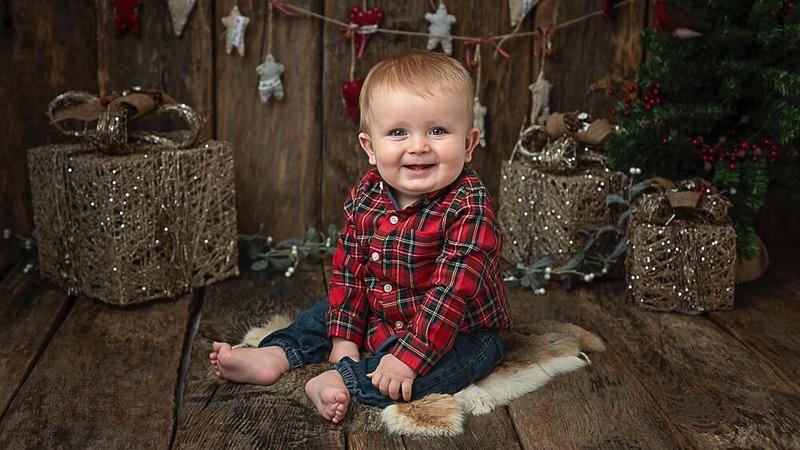 Yes, it’s the most wonderful time of the year and, lucky me, I get to photograph children for their Christmas portraits. 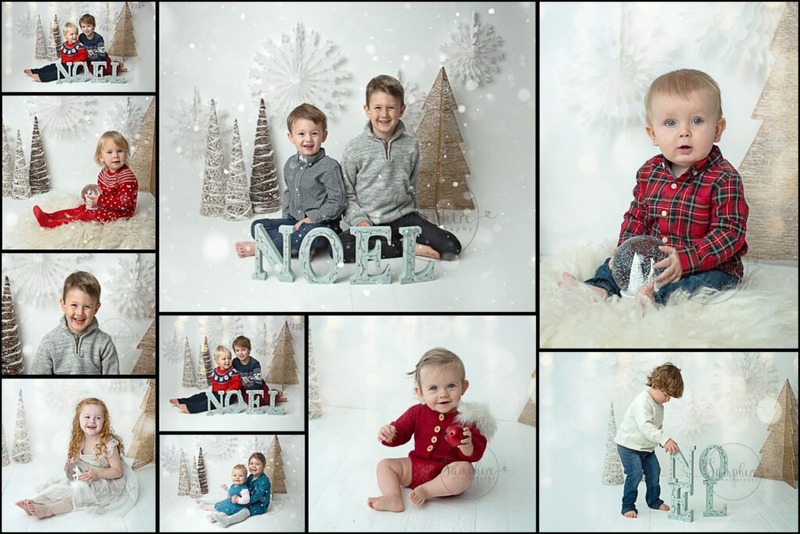 Planning the style for these festive sessions starts halfway through the year and for 2018 I offered my clients a choice of backgrounds – a snowy white and a dark wood – complete opposites, but both of which were very popular. I didn’t deck the studio with boughs of holly but did have plenty of props and Christmas-ness to create the magic. I offered wide choice of outfits, but have to say most of my clients were very well prepared and brought along their own Christmas clothing; we had it all, from Santa suits and elf outfits, to knitted jumpers and perfect party dresses, not forgetting cosy Christmas jim-jams. 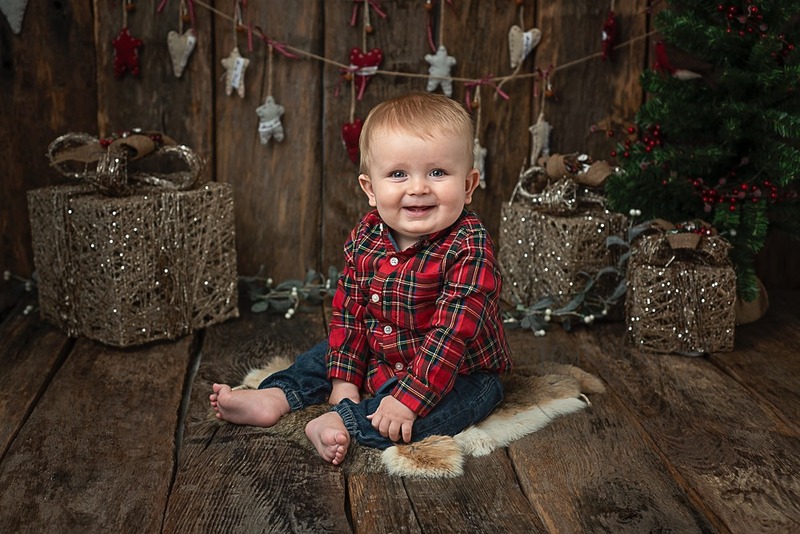 My Christmas mini sessions are held here at the Samphire studio and are half an hour long. After the session, clients receive a gallery of at least ten images to choose from. These make wonderful keepsake cards and presents for loved ones, so I can’t share images from all of the sessions yet as I don’t want to spoil any surprises! But here are some of my favourites. 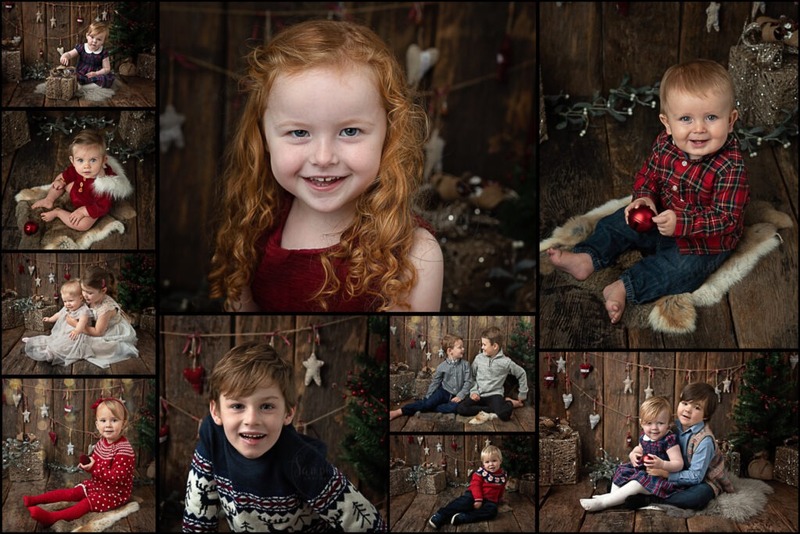 Rustic Festive Portraits….which are your favourite? I love Christmas. I love the excitement and anticipation and seeing the pure joy on their beautiful faces. It’s such a happy and special time, and I get to capture it for families to treasure for years to come. I love it. These mini sessions are always very popular, but I do release the dates first to existing clients in my Samphire VIP Group on Facebook. It’s where I’ll post any upcoming events or special offers. So, if you’re not already a member, apply to join today.